I've downloaded Inkscape in order to try to fix this fairly simple problem. I have a .svg file that is too big for the intended purpose. I've already taken the steps I could in order to reduce it in size, but still need to cut another 30% off it. What I intend to do, is simplify the image. From what I can tell, it consists of 3 objects. (The white, light blue and blue parts). I want to reduce the detail, and just have the entire object be white, as a single object. I've selected the 3 objects and combined them. The result is the 3 objects are now glued together, but I can see it still consists of the same number of vectors, defeating the purpose of trying to reduce the file size. Is there anyway, I can get the program to merge the objects together in such a way, that it becomes a new simpler object, consisting of fewer vectors? If not, what would be the best way to approach this problem? 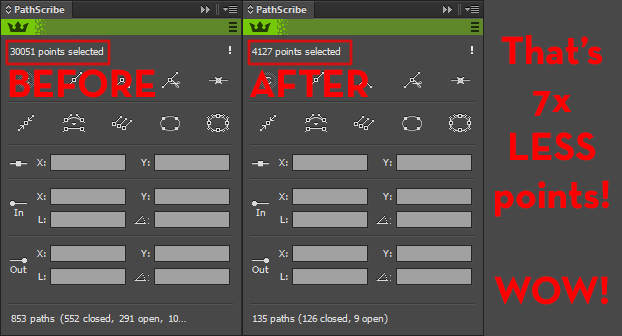 Now you should suddenly have only one object and some less points (smaller file). The colour will jump to one of the colours from the selected objects. And you can easily turn the new object white. with each item and then try again my initial idea. Note: We can help you much better here, if you give more detail. 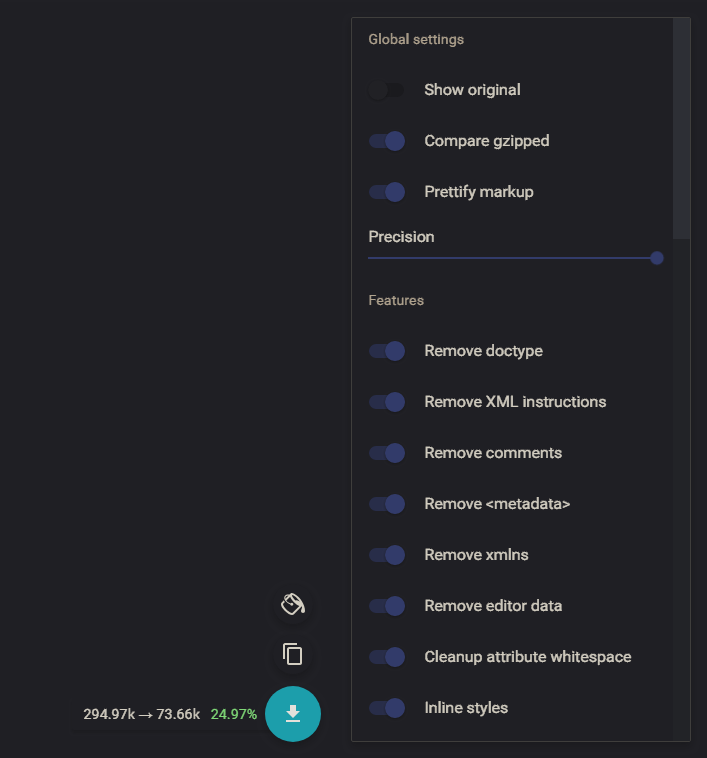 Use a site like SVGOMG. This is a sample SVG that is 24.97% smaller with all the options checked. Comparing the original and the SVGOMG versions you can see the drastic drop in overall points. Every SVG will have such a drastic drop in size or complexity but SVGOMG should help immensely to hit your target sizes.